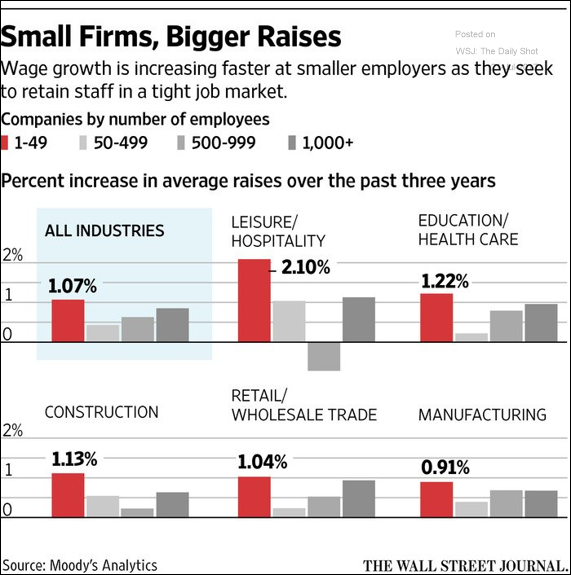 The United States: Wages are rising faster at smaller US firms. 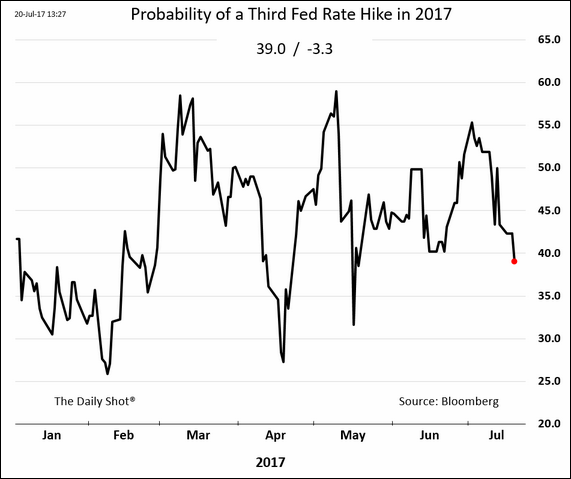 Rates: The market-implied probability of a third Fed rate hike this year dipped below 40%. 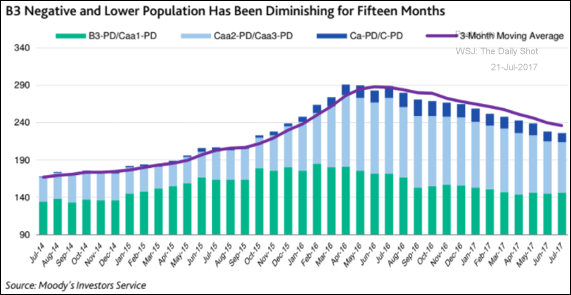 Credit: The Moody’s stressed/distressed corporate credit universe has been gradually shrinking. 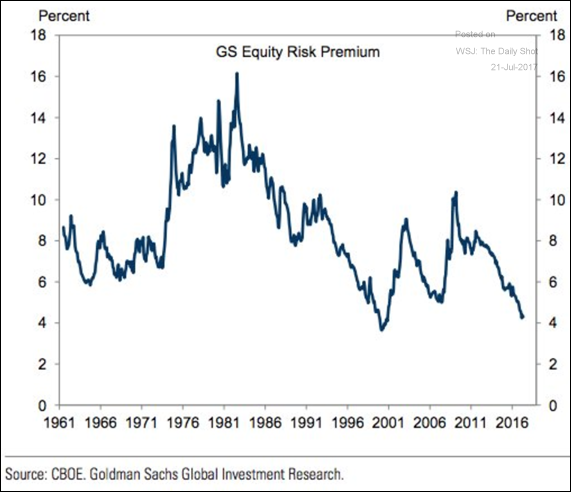 Equity Markets: Valuation models show diminishing equity risk premium (vs. bonds). 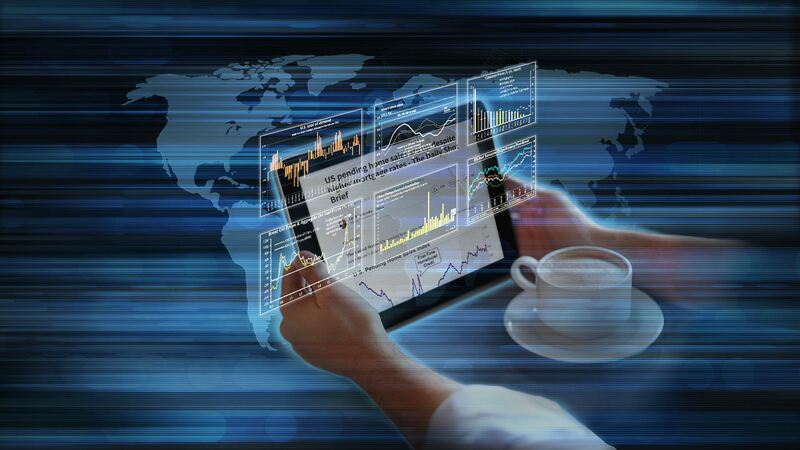 Fed officials have expressed concerns about this trend. 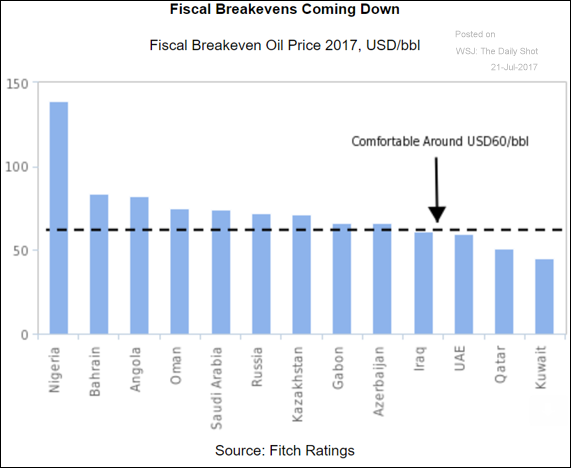 Energy Markets: The chart below shows the “fiscal breakeven” for major oil exporters. Below these oil price levels, the governments of these countries run a deficit. This breakeven point has been moving lower for many exporters as their governments do some belt tightening. 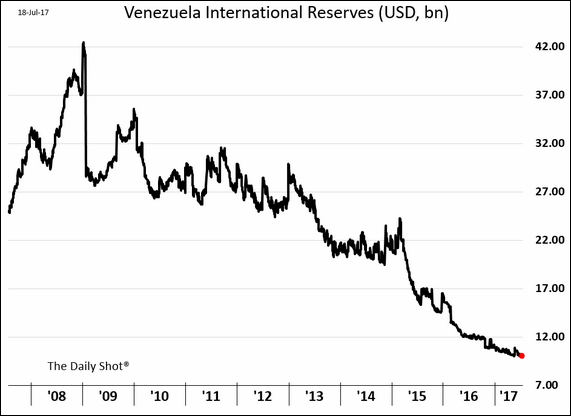 Emerging Markets: Venezuela’s FX reserves continue to dwindle. 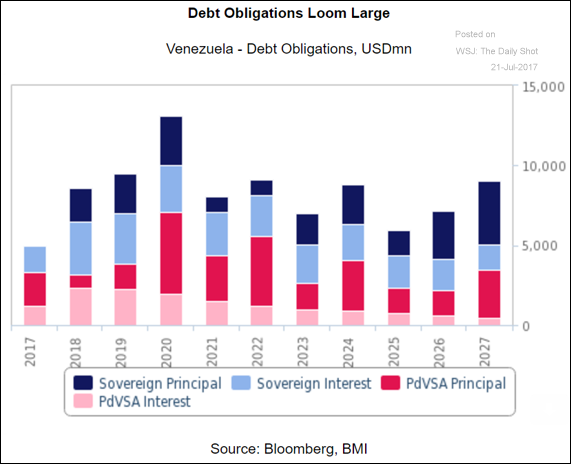 More investors are preparing for debt restructuring as time is running out. 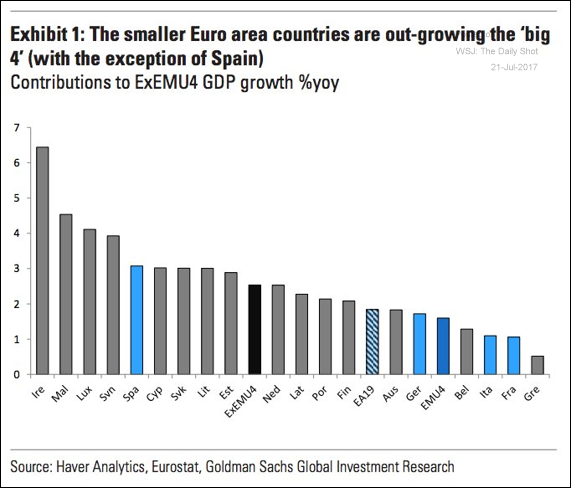 The Eurozone: The economies of smaller Eurozone nations have been outperforming. 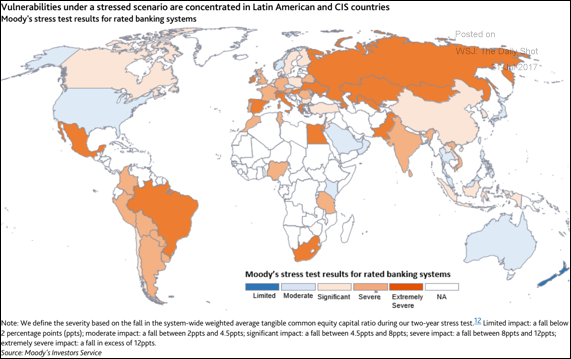 Global Developments: Finally, here is the Moody’s financial stress scenario for all the major banking systems around the world. 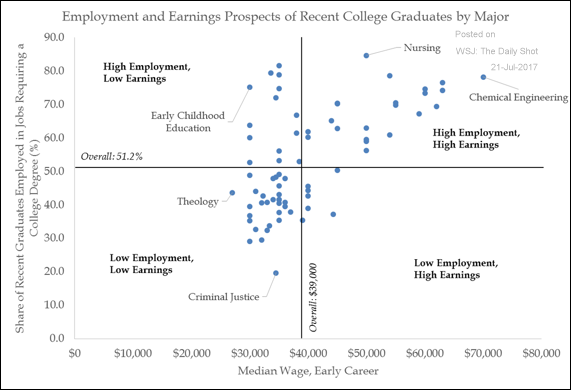 Food for Thought: Some college majors have high employment rates but meager wages.